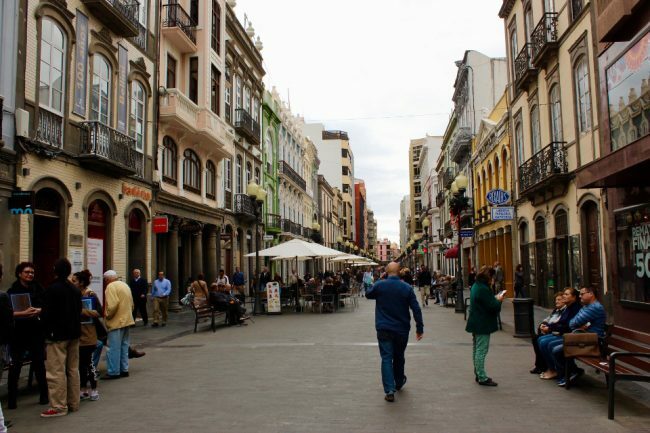 I’ve put this quick travel guide to Las Palmas de Gran Canaria together to help you plan your stay in the Canary Islands’ largest and most populous city (382,000 inhabitants). 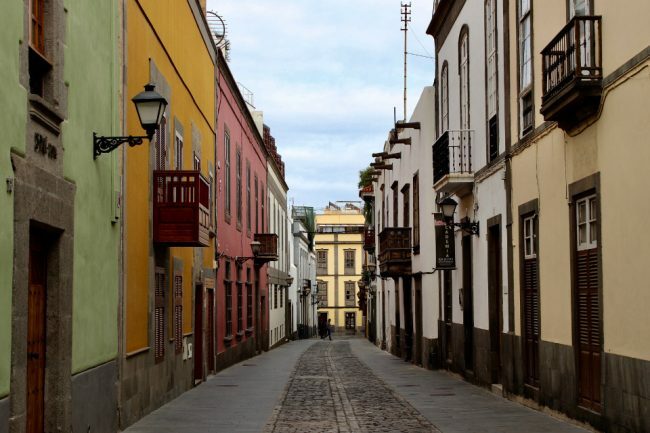 Unlike most places in the Canaries, Las Palmas has the feel of a mainland Spanish city. The island of Gran Canaria itself, although only third largest in the archipelago, is home to 40% of its population. If you want to visit the island rather than spend most of your time at a beach resort, Las Palmas makes an excellent base, especially if you don’t have your own car. Due to its size, Las Palmas is a city where public transport will come in handy. The two main areas of interest to visitors, Triana & Vegueta and Santa Catalina & Playa de las Canteras, are located about five kilometres from each other. Yellow city buses criss-cross the city, often stopping at station San Telmo near Triana. The other bus station is Santa Catalina (near the water, across the road from the Science Museum). Blue inter-island buses also use both of these stations, even though some routes terminate at San Telmo. Canarians call their buses guaguas. If you are planning to ride the city buses more than seven times during your stay, it’s worth buying a pre-paid Bono card. Ten trips will cost 8.50 Euros (plus 1.50 Euros for the card). You tap the card on the reader inside the bus to pay the fare. Bono cards are available at San Telmo station. Cash fare is a fixed 1.40 Euros per ride. Drivers give change for bills no larger than 10 Euros. Lines #1 and #2 are some of the most useful. To get to town from the airport, look for blue bus #60 which costs 2.30 Euros to San Telmo and 2.95 Euros to Santa Catalina. Find more information on city transit here (Spanish only). Okay, now that you know how to get around, what should you visit? Just south of San Telmo station is Triana, the commercial zone of the old city. Busy Calle Triana and adjacent streets are pedestrianized and lined with shops, cafes, and restaurants. You will spot three-story buildings with interesting and ornate architecture in this area. Look for pint-sized Ermita de San Telmo near San Telmo park. This small church dates form the 16th century and presents an unexpectedly ornate interior. At the southern end of Triana you’ll find the neighbourhood of Vegueta where the main tourist attractions are located. Don’t miss Casa Colon, a museum dedicated to Christopher Colombus and his voyages of discovery. He stopped here on three of his four trips to the New World. He was convinced he had reached Asia, never realizing that he had discovered a new continent! I am not a huge museum person, but I found this one quite interesting. It is also housed in a wonderful building with several interior courtyards. Admission is only 4 Euros. You should also visit the massive Cathedral Santa Ana next door. Try to get there by 4:00 PM as the doors close early, especially in winter. If you like museums and art galleries, there are several more to explore nearby, such as the Museo Canario (pre-conquest history) and Centro Atlántico de Arte Moderno (modern art) among others. If you are looking for more hedonistic pursuits, the northern part of town offers a 3-kilometre long beach called Las Canteras. The southern end is mostly for surfers with its dark sand and powerful waves, but as you follow the pleasant boardwalk northbound, you come to an area where an offshore reef provides sheltered waters for swimmers. The water is pretty cold in winter though, so many people stick to sunbathing on the golden sands. Parque Santa Catalina is nothing special, but it’s a good landmark, and in close proximity to the Santa Catalina station. From here, you are only a few minutes walk from the beach in one direction, and the port in the other. You’ll find another interesting museum near the port: the Museum of Science and Technology. Four floors showcase interactive exhibits on everything from transportation to mathematics. My favourite thing was sitting inside the cockpit of a fighter plane, but I also quite enjoyed the animated 3D movie on dinosaurs. Admission is 6 Euros (3 Euros extra for the movie) and the ticket lets you exit and re-enter the museum during the day. 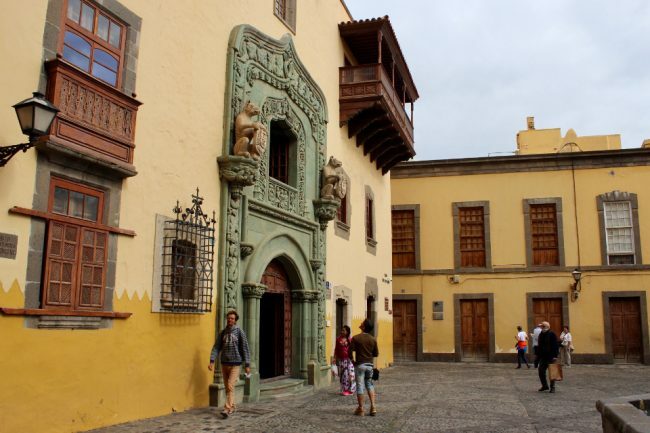 AirBnB offers hundreds of rooms and apartments in Las Palmas. 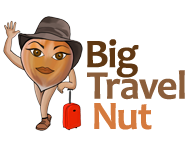 Book several weeks in advance to get the most choice and lowest prices. If you speak a little Spanish and don’t mind sharing a bathroom with one or two people, I recommend this single room or this double room (both in the same apartment) which are really well priced considering how clean and quiet the place is. I stayed here for an entire week last January. Apartamento en Casa Canaria: A 2-bedroom 861 square feet apartment for US$44 (US$54 for two people). What’s the catch? You have to book early (I’d say two months or more ). It’s located about 500 metres from Parque San Telmo and the San Telmo bus station, a great location. Hotel Pujol: A small 2-star hotel, renovated in 2007 and only 2 minutes walk from the beach in the new part of town. Looks perfectly comfortable to me. US$44-49 for a single room (US$54-60 for a double). Alcaravaneras Hostel: If you prefer a hostel, this seems to be the cream of the crop. 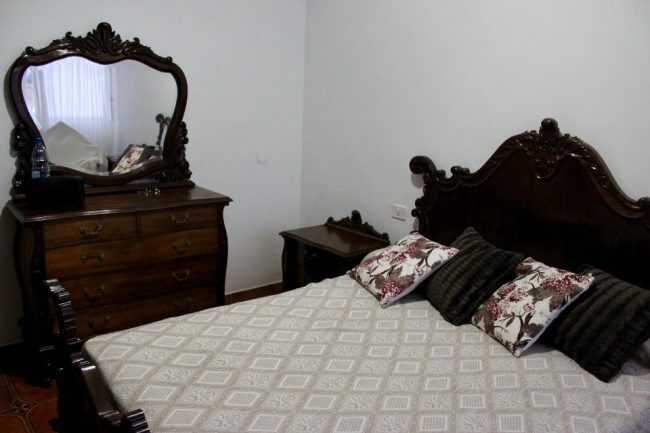 A single room (rather basic but spacious) with private bathroom is only US$20. 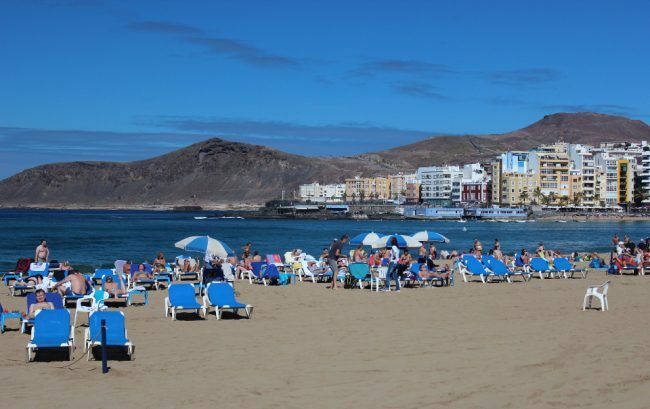 It’s about 15 minutes walk to both Las Canteras beach and Santa Catalina bus station. You may need some practice pronouncing the name! Last but not least: food! These days you can find your own restaurants on sites like TripAdvisor or Yelp, but below are some places I tried and liked. 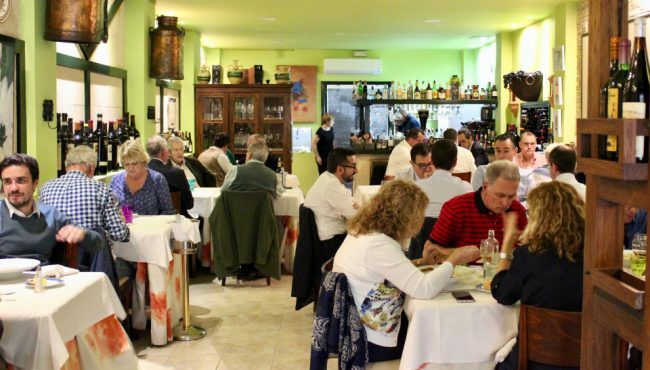 El Herreño (Mendizábal, 5): Well priced menu of tasty foods including seafood and Canarian specialties like ropa vieja (chunks of meat, garbanzo beans, and tomatoes). They also have 2-course set menus for 9 or 10 Euros. Ó Soleil (Plaza Santa Ana, 2): French bistro cuisine in a casual yet elegant decor (with a few tables outside facing the massive Santa Ana Cathedral). There is a three-course daily menu, and the day I was there it was “pay what you want”. Wow! I gave 14 Euros, figuring that the creamy squash soup, steak, and cheesecake was probably worth at least this much. A glass of house wine cost 3 Euros. Bioloco (Calle Alfredo L. Jones 33B): a vegan cafe with friendly service and a choice of sandwiches, salads, veggie burgers, shakes, etc., for 4 to 8 Euros. “100% cruelty free bar” is their motto. Closed Tuesdays. 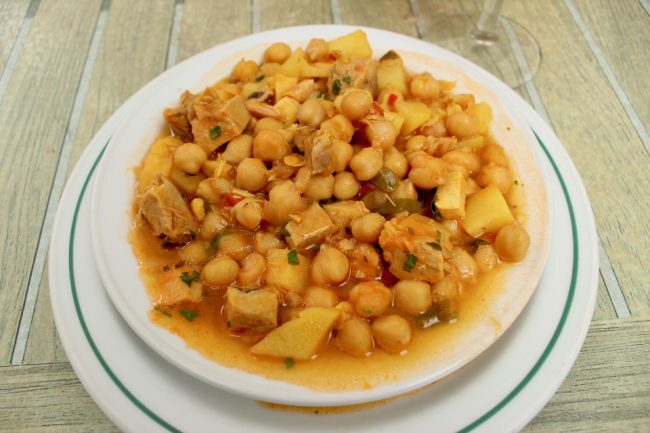 De Cuchara (Alfredo L. Jones, 37): Steps form Las Canteras beach, this homey Canarian restaurant serves a filling three-course lunch menu for 17 Euros. It’s a little pricey, but it’s delicious — try the grilled veggies if you’ve been deprived — and service is very friendly. They have tapas at night. It gets packed though, so make a reservation if you don’t want to be disappointed. I hope you enjoyed this mini-guide. See the Tourism Office website for more information about Las Palmas de Gran Canaria. In a future post, I’ll explore day trips you can take from Las Palmas de Gran Canaria using the Global network of inter-city buses. Great article helping people and sharing about the Las Palmas. Keep it up good Marie. Very nice review Marie. Many beaches in Canary Islands are windy and “cold”, it’s not sea 🙂 Las Canteras beach is in season very occupied by tourists. But still very clean water and sand. For checking this place I use La Cicer webcam. Very good for everybody who want to check part of Las Canteras beach online.